This paper discusses the design of a masonry veneer with a steel stud structural backing. The design requirements of C5A 5304.1-94 “Masonry Design for Buildings (Limit States Design)” are discussed. 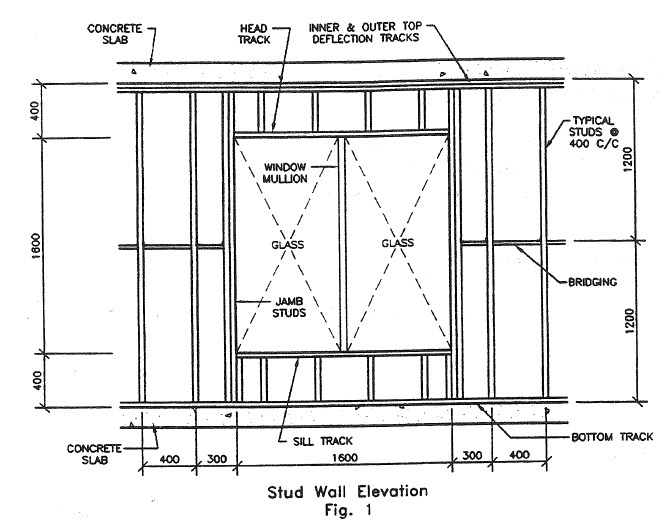 A design example is given for a typical 2400 high infill stud wall with a window opening.